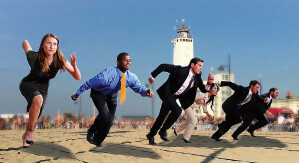 The International Sports Management Academy belongs to the International Business Development Academy (IBDA) group, a the Netherlands-based, internationally operating knowledge institute focused on the further development and professionalization of the disciplines International Business Development and International Entrepreneurship. Meeting, brainstorming, learning. De Baak Seaside in Noordwijk aan Zee is an inspiring venue located right on the beach, just a half-hour drive from Schiphol Airport, Amsterdam and The Hague offering.space and tranquility you need for working, learning, connecting, overnight stays and relaxation. Noordwijk prides itself on having been given the title of European City of Sport in 2017, a prestigious certificate issued by Aces Europe in cooperation with the European Commission. For many years Noordwijk has been a great place for sports events. Discover sport-loving Noordwijk! Sport Sciences Academy (AISTSC) Its mission is to provide quality education and prepare future sports leaders to meet the needs and expectations of the sports industry. - which facilitates the development of knowledge and its application to sport, through different projects. - which has the capacity to bridge the gap between technology and sport, drawing on the expertise of the leading International Institutes of Sport Technologies, - The International Academy of Education and Training and Social Development (AIEFDS) is one of the founding members of AISTSC.